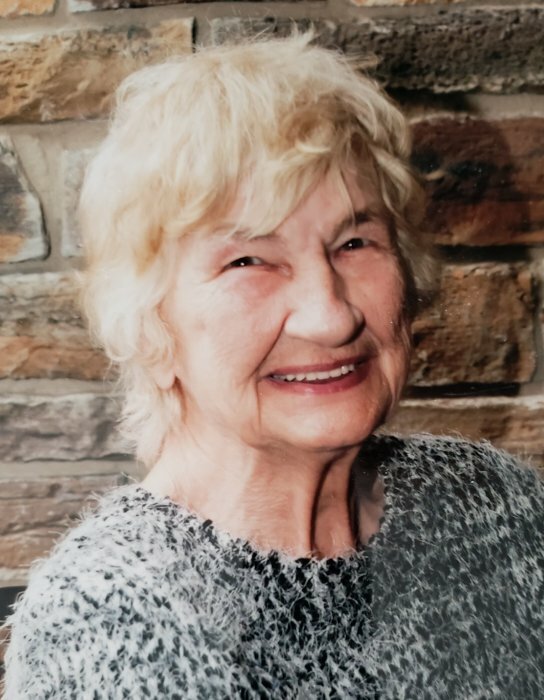 Peacefully on February 10, 2019, Margaret Dorothy Sylvia Smith, aged 81 years of Arborg Manitoba, passed away with family by her side. Born September 27, 1937 in Red Lake, Ontario, she was the daughter of late Frank and Rose Rychliski. She is survived by her 3 children Marcin Przybylski (Colleen), Nadine Legras (Ed) and Shawn Przybylski (Carman); her 5 grandchildren Chris, Carylanne, Isabella, Kim and Jeninne; great-grandchildren Meadow and Paige. Margaret greatly enjoyed spending time with her children, grandchildren and close friends. She loved cooking, gardening, singing karaoke, listening to music and playing with her lovely dog Sasha. Christmas was her favourite time of year. She enjoyed puzzles, word find books, playing cards and bingo where she met with friends. Once upon a time, everything was perfect, hanging out, eating out, either enjoying a Big Mac or Chinese food, laughing along to the silliest jokes, there was always something new to do with you mom. For all days, months, years spent together, we begin to realize that this is exactly how life should be. Days turned into nights, and time swept by us so quickly. We celebrate your life until we meet again. Memorial service will be conducted at Gilbart Funeral Home in Gimli, Manitoba at 11:00 a.m. Friday, May 31, 2019. Donations can be made in memory of Margaret at any pet shelter or animal rescue as Margaret so loved animals.